There are many reasons why I love my husband, but, this one is at least in the top 3. 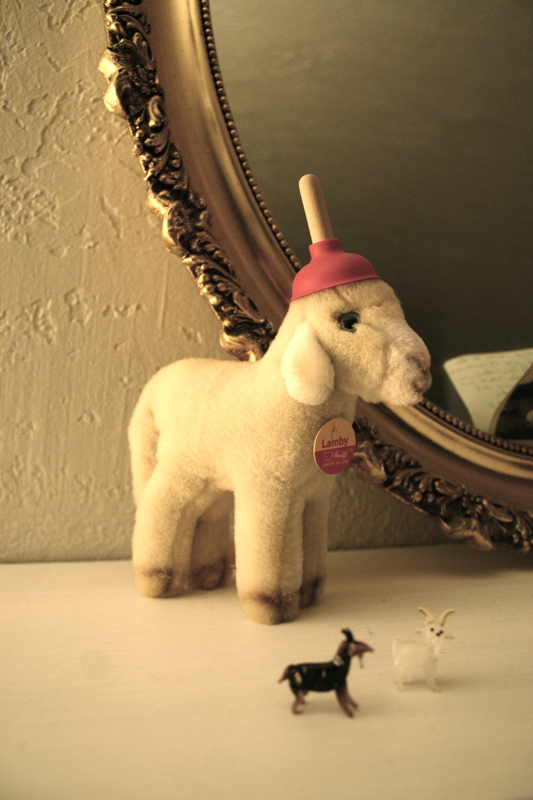 He took the iphone stand ‘plunger’ I got from my cousin for my birthday and used it to accessorize my steiff lamb. It made me laugh – out loud – at 5:30 a.m. THAT is really something. I love him for being so silly, so often. Oh Johnny, he does make me laugh :)!